Mix the dressing ingredients together and pour over the kidney beans in a bowl. Toss and set aside while you roast the vegetables. Toss the vegetables together with 1 tablespoon of olive oil, black pepper and 2 teaspoons of shoyu soy sauce. Place the vegetables on a baking sheet and broil for 10 to 12 minutes, turning occasionally to evenly roast and prevent burning. 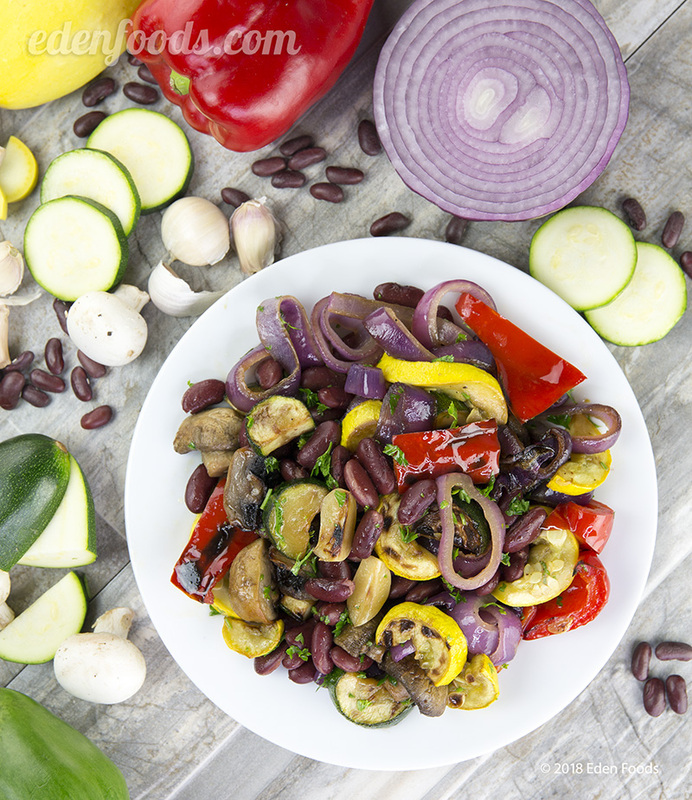 Remove and toss the roasted vegetables in with the beans and dressing. Serve warm, room temperature or chilled. This salad is also nice tossed in with cooked Eden Pasta.